Bone grafting can help replace and regrow previously lost bone tissue. 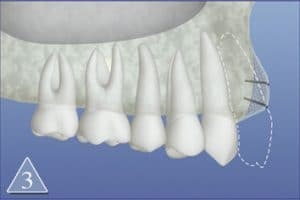 Bone grafting processes are often known as Guided Tissue Regeneration (GTR) and Guided Periodontal Regeneration (GPR). Our Memphis periodontal office routinely completes bone grafting procedures to prepare patients for dental implants. What Are The Benefits of Bone Grafts? Bone grafts integrate with existing bone, strengthen the underlying structures to provide a solid foundation for dental implants. Request an appointment today to ask us about bone grafting. Bone grafts can integrate with existing bone and strengthen the underlying structures of the sinus and jaw, providing a solid foundation for dental implants. Bone grafts can also trigger bone regrowth, allowing the patient’s own biological systems to regrow lost bone. Once the bone is replenished, it will be able to support a dental implant and a full mouth restoration can be completed. What Is Involved In The Bone Grafting Process? Bone grafts are created from bone harvested from the patient or obtained from a tissue bank. Special membranes may be used under the gum line to protect the bone graft and to encourage bone regrowth. Bioactive gels or biomaterials may also be utilized to help regrow the destroyed bone and soft tissues. 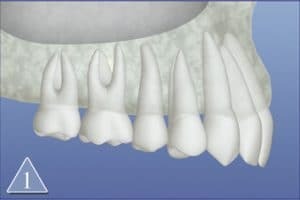 The ridge is the socket created by the missing teeth or loss of bone mass in the gum and jaw. 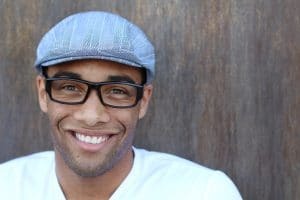 Ridge augmentation and soft tissue augmentation is considered when there has been an extreme loss of bone and gum tissue in the bridge of the mouth. Sinus lifts or ridge expansions are used to increase the amount of bone mass in the upper jaw. Lateral (Direct) Sinus Lift: In this procedure, the sinus membrane is lifted up and a bone graft is placed at the floor of the sinus. There is no penetration of the sinus wall, and it is only raised slightly. 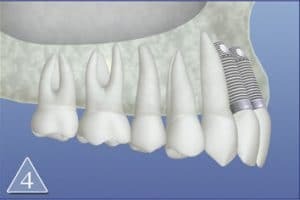 Sometimes implants can be placed at the same time as this procedure. Osteotome (Indirect) Sinus Lift: This procedure involves cutting into the gum line and creating a small socket just short of the sinus membrane. This is generally less invasive and does not provide as much bone growth than the Lateral Sinus Lift. Lateral Ridge Augmentation or Ridge Expansion: When the ridge (socket wall) is not high enough or wide enough for dental implant treatment, this technique restores bone strength and the dimensions of the ridge. The graft material used can be placed and matured for a few months before placing the implants. Bone grafts provide the strength and stability required to support dental implants, and can also reshape the jaw and sinuses slightly, refilling sunken areas and recreating the patient’s original features. Once the dental restoration is complete, older patients who had suffered facial collapse due to bone loss typically look several years younger. Contact us today for a consultation and find out if bone grafts could be right for you.